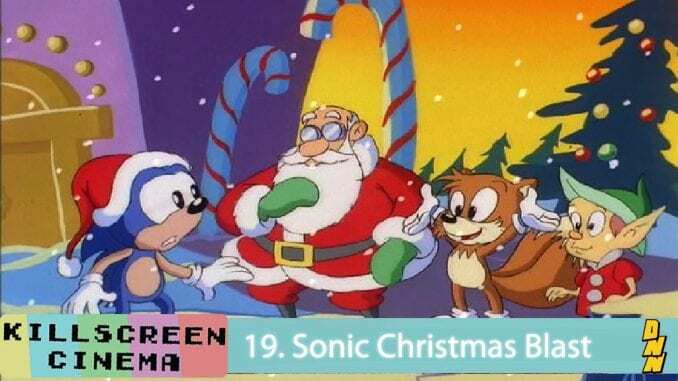 The Kill Screen gang take a break from the world of movies to celebrate the holidays by watching “Sonic Christmas Blast”, the Christmas episode from the pretty universally reviled Adventures of Sonic the Hedgehog animated series. However, we also give a brief review of an episode from Sonic Underground titled “Three Hedgehogs and a Baby”. Bagged & Bored director Matt Gaither joins to explain the multiverse and his well-documented fandom for the blue blur! We cover everything from the Super Mario Bros movie to films about video games like The Wizard. If you enjoyed our guest Matt Gaither, listen to his previous episode Street Fighter II: The Animated Movie. Subscribe to us on iTunes or SoundCloud, like us on Facebook, and follow us on Instagram!